Its a little late, but better late than never, right? 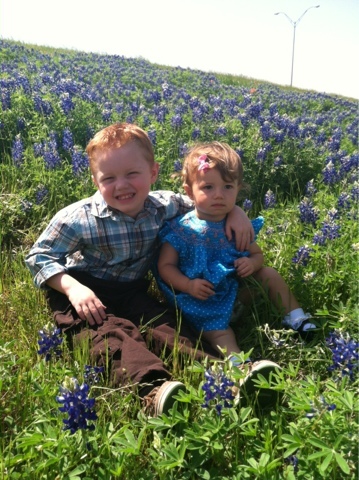 We spent Easter in College Station with The Husband's family, and H's favorite cousin, Bubba. You can't tell from this picture, but she really does adore him!! 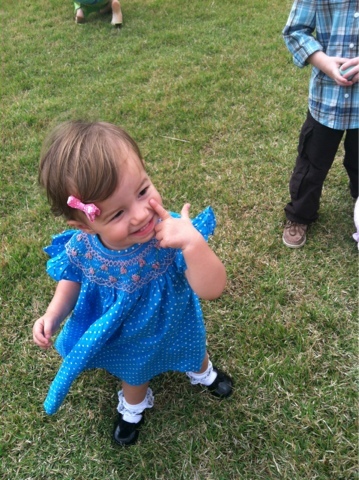 And she had a great time hunting eggs with the big kids at the club. 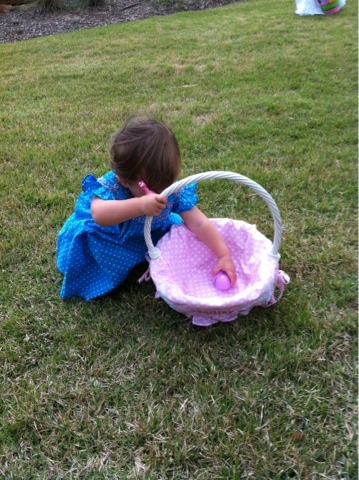 She did not, however, enjoy the man in the Easter bunny costume, and screamed bloody murder when he got close. Despite my efforts to wave him off as he approached us. The Husband said he could hear her scream in the other room as he was filling his plate at the brunch buffet.